A Tees-based bespoke web and mobile applications agency has boosted its development team two new appointments. 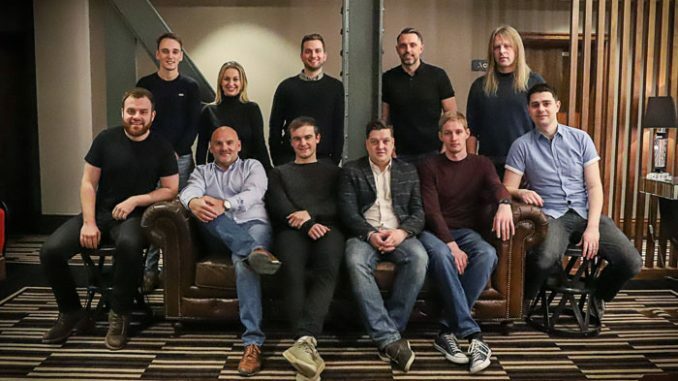 Digital firm Techquity, which was founded in November 2017, now has a team of 11 delivering projects for a host of national clients, with developers Alan Ruddick and Jack Pickering the latest recruits. And to accommodate its growing team, Techquity has relocated to Commerce House in Middlesbrough. The Grade II listed building is in the heart of the town and boasts luxury office spaces, exceptional facilities and national transport links on its doorstep. Alan is an advanced Laravel developer who has delivered bespoke web applications and high-level ecommerce projects for Disney and Lego Licensees among others. He joins the team from Unwritten Creative, where he was lead developer and before that Flow, where he was senior developer, building full stack software solutions for NRG, EIC and Newcastle University. Jack was formerly the Jack the lead developer for AX1 Mining and AlchemyByte, businesses within the crypto currrency markets. Delivering both front and back end solutions he is familiar with a diverse range of applications and systems and has extensive UX and UI experience. He will work closely with CEO, Matt Burton, to deliver a range of SaaS (Software as a Service) products for a host of clients and Techquity. The firm’s CEO Matt Burton said: “We’ve experienced a period of rapid growth in the last 12 months. “Alan and Jack are both experienced developers and bring valuable skills that complement those of the existing team. Christine Huntington, facilities manager at Commerce House, added: “Techquity is a company with its eye on the future and at Commerce House we help facilitate and support that aim, by ensuring the best service, so all the team have to focus on is their job. Techquity can provide tech solutions for every business and its model is created with two markets in mind: start-ups and established businesses across the public and private sectors.